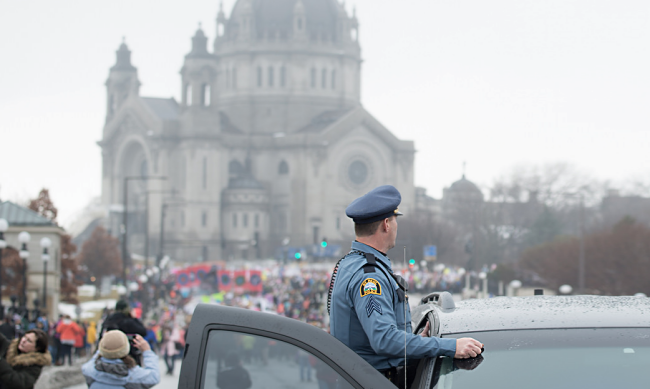 Police monitoring the crowds at the Minnesota Women’s March. Credit: Fibonacci Blue / Flickr. Some rights reserved.